All important information will be posted on the Twin Falls Classic facebook page. Please follow the link and like the page to keep up to date on what is going on. The Twin Falls Classic has been one of Idaho's premier disc golf tournaments. Year after year, we host successful PDGA (Professional Disc Golf Association) events that are unsurpassed in their level of excitement and professionalism. The PDGA has once again granted us A-tier status. This event is one of only two Super Tour events in the State. We have had a pro purse of around $10,000 for the past few years for our open players, but have always taken care of our Amateurs. Am's have always gotten a generous players pack, a weekend of fun, and payouts for each division. This is not a trophy only event, but we will have trophies for 1st place in all divisions. There have been a few changes to this years format so that we can maximize the player experience. We have been desperately trying to get a third course, which will hopefully happen next year. As for this year, we will be playing CSI (mixed long) and Rock Creek (mixed long) with the A & B pools switching courses. Everyone will play 4 rounds over the weekend. Both courses each day. Check in will be at Disc Golf DC all day Friday June 14th located at 758 Falls Ave. Twin Falls, Id. 83301. We strongly recommend that you check in Friday so that we can start in a timely manner on Saturday morning. We have all kinds of amenities, activities, and fun lined up for you. There will be $5 random draw doubles at CSI on Friday June 14th at 5pm. On Saturday morning there will be late check in from 8-9 am at tournament central at Rock Creek Park at the west end of Filer St. Players meeting will be at 9:15 am at tournament central. During your round there will be extra bathrooms, a snack table, and water at Rock Creek and water at CSI. Saturday night will be the players block party downtown Twin Falls on Main St. from 6pm-9pm. There will be games set up, food and drink specials and a whole lot of fun. Sunday will be the final rounds. After the 4th and final round will be the awards ceremony at Canyon Crest Event Center. There will be payouts, raffles, food, a full bar, and a beautiful venue. Come see what Idaho, Twin Falls, and this event has to offer! 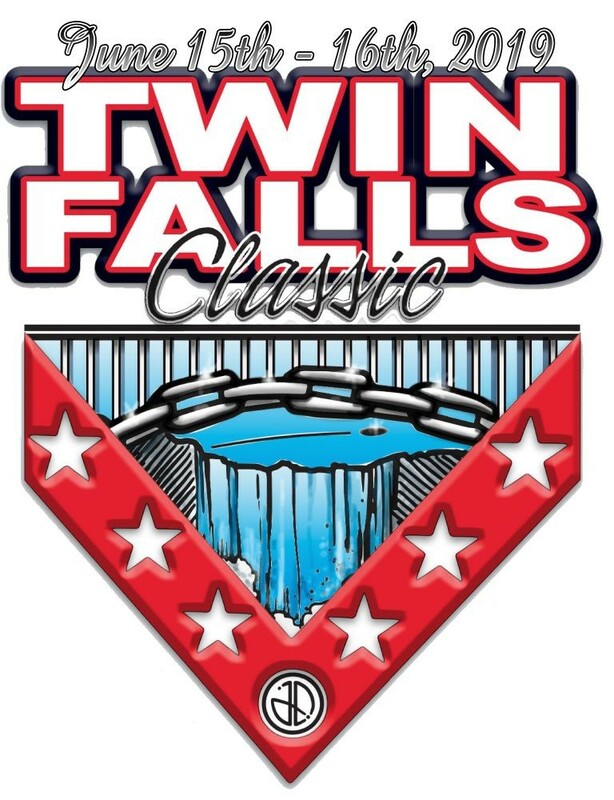 The Twin Falls Classic is responsible for all refunds. Per PDGA refund policy: Players who officially request to withdraw from an event at least 30 days before the start of the event will receive a 100% cash refund (minus up to a $10 handling fee). Players who officially request to withdraw from an event 15 to 29 days before the start of the event will receive a 100% cash refund minus up to a $10 handling fee ONLY if their spot in the tournament is filled through either the waitlist or a walk-up entry (if offered). If the player’s spot is NOT filled, the TD has the choice to provide EITHER a 50% cash refund OR just the player’s pack the player would have received if they had attended (minus the cost of shipping). In the case of a player in a Pro division for an event without a Pro player pack worth at least 25% of the Entry Fee, the TD will provide the 50% cash refund. Players who officially request to withdraw from an event within 14 days of the start of the event and prior to the event’s published closure of registration and waitlist replacements (within one week is recommended) will receive a 100% cash refund minus up to a $10 handling fee ONLY if their spot in the tournament is filled through either the waitlist or a walk-up entry (if offered). If the player’s spot is NOT filled, the TD has the choice to provide EITHER a 25% cash refund OR just the player’s pack they would have received if they had attended (minus the cost of shipping). In the case of a player in a Pro division for an event without a Pro player pack worth at least 25% of the Entry Fee, the TD will provide the 25% cash refund. Professional registrants must be current PDGA members through 2019. - 7:00pm Player Check-in at Disc Golf DC. Located at 758 Falls Ave.
https://goo.gl/maps/h9tyMwbx3r72 Please make an effort to check in Friday so that we can start in a timely manner on Saturday. Black Ace Gear will be set up all day with sales, promos, and some incredible products and deals. Day of Check-in will be at the west end of Filer St. where hole #1 begins at the Rock Creek course. We strongly recommend that you check-in on Friday or the earlier the better on Saturday so that we can start on time. Mandatory players meeting at tournament central. This will be at the west end of Filer St. where hole #1 begins at the Rock Creek course. 10:00am Tee off for 1st round. Air horn, shotgun start. We can arrange rides to CSI if needed. Food vendors will be set up at tournament central at Rock Creek. Please support our vendors! 3:00pm Tee off for 2nd round. Air horn, shotgun start. We will have non playing staff that can help with any juniors. - 10:00pm BLOCK PARTY!!!! Downtown Twin Falls Block Party on Main St.
- 9:00am Players meeting at your course. 9:00am 3rd round tee off. Air horn, shotgun start. 2:00pm Final round tee off. Air horn, shotgun start. Canyon Crest is hosting the awards ceremony. They will have an $10 baked potato & salad bar, full bar, and private balcony for you to enjoy. After awards the raffle will be held. We have a ton of stuff to give away including a basket, carts, and more.